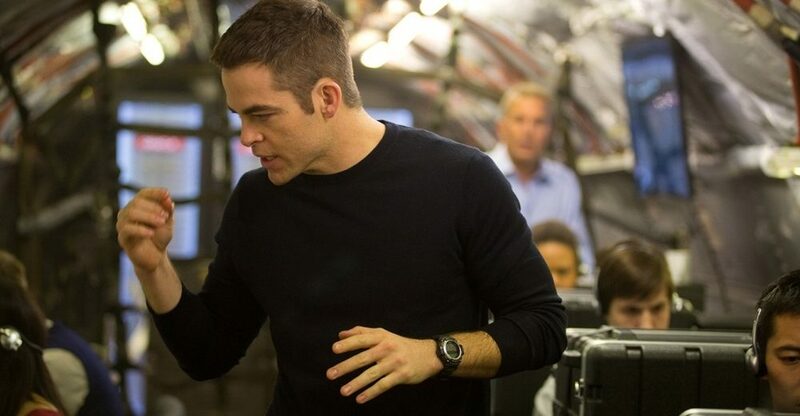 Jack Ryan is an anomaly in Hollywood franchise filmmaking. He has neither the iconic status of a Jason Bourne or James Bond, yet can be said to operate in a similar genre (globetrotting espionage thrillers), based on similar source material (trashy airport novels). He even shares 007’s revolving-door cast, having been played on-screen by five separate actors. To date, his best live action incarnation didn’t even really have any big action scenes. 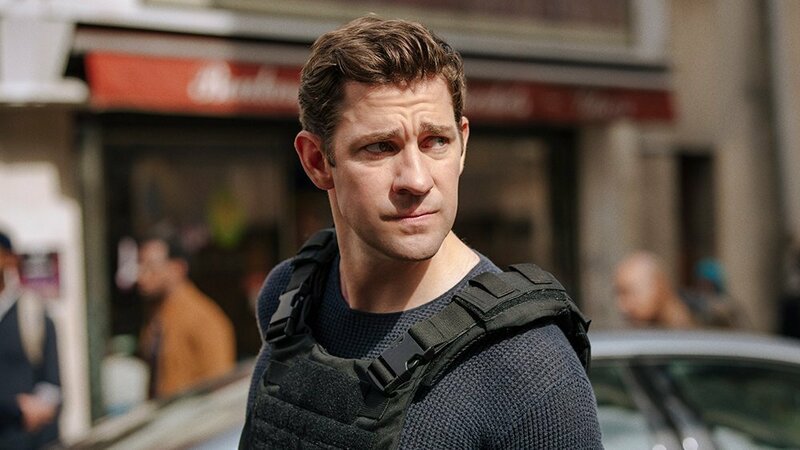 Yet the Tom Clancy character is still held in high enough regard that a couple of his movies are considered out-and-out classics, and he’s a recognisable enough name that Amazon are launching a Jack Ryan series, starring A Quite Place‘s John Krasinski in the lead role, tomorrow. Created by Lost’s Carlton Cuse, executive produced by Michael Bay, the new Ryan has got some considerable weight behind him. But that was ever thus, as you’ll discover in the first edition of Catching Up With…, where we recap long-running franchises in anticipation of their latest instalment. 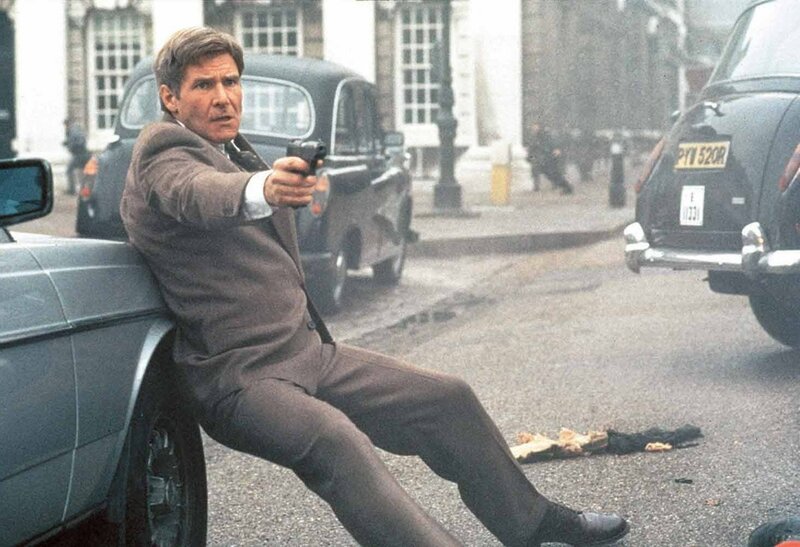 This time, we’ve compiled a dossier of intelligence on Jack Ryan: Marine lieutenant, naval history teacher, CIA analyst, and enough of an everyman to be have been played by both Harrison Ford and Ben Affleck. During his lifetime, Tom Clancy routinely topped the New York Times bestseller charts for his globe-trotting techno-thrillers, which made up for their complete fumbling of actual current geopolitics and questionable prose with a fetishistic attention to the details of spycraft. 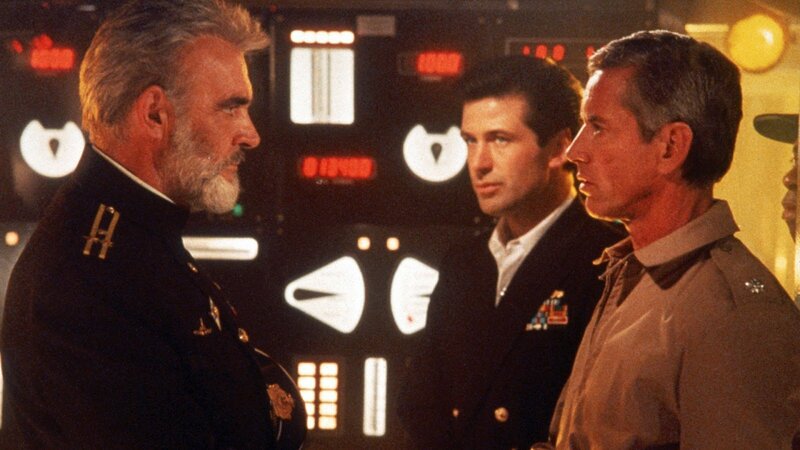 In the first Jack Ryan film, Alec Baldwin stars as the CIA analyst forced out from behind his desk to confront a rogue Soviet submarine commander (played by Sean Connery) who wishes to defect. Directed by Die Hard and Predator‘s John McTiernan, The Hunt for Red October is surprisingly not a brainless, barnstorming action adventure. Instead, McTirenan pumps the brakes on his established style for something more cerebral and slow-paced, from a script by Larry Ferguson (Highlander) and Donald E. Stewart (Missing). Besides a couple of pulse-raising action sequences, The Hunt for Red October is more like watching a chess game. It’s all about Baldwin’s Ryan attempting to suss out the motivations of Connery’s Lieutenant Ramius, a game of duelling wits rather than fisticuffs. It’s the sort of adult-oriented action thriller they don’t make nowadays. Skip forward a couple of years and you’re faced with something far more familiar. 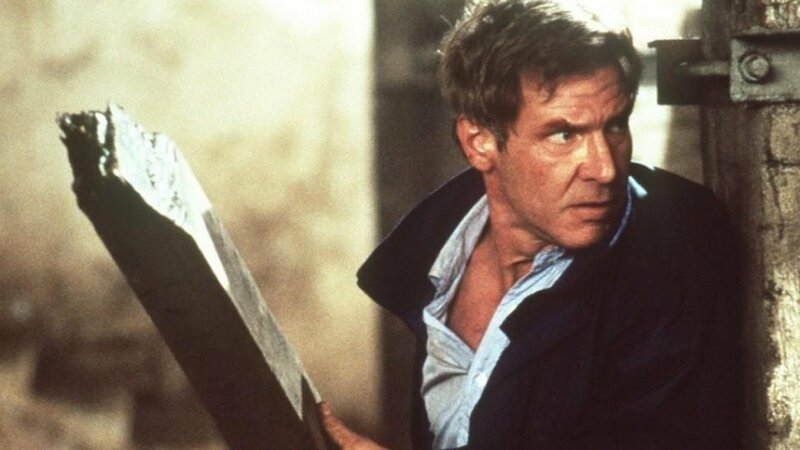 Thanks to the indisposition of Baldwin, Jack Ryan is metamorphosed into craggy-faced mum’s favourite Harrison Ford, who now has a family and everything. Patriot Games is a far more conventional thriller, with the action this time split between Britain and the US. On a visit to the UK with his wife (Anne Archer) and daughter (Thora Birch), Ryan intervenes on a botched attack on the Secretary of State for Northern Ireland. He guns down one of the attackers, who turns out to be the son of an IRA hitman (Sean Bean). Showing his customary misunderstanding of international geopolitics, the plot of Clancy’s first Ryan novel — adapted here by returning screenwriter Donald E. Stewart alongside W. Peter Iliff, and directed by Salt‘s Phillip Noyce — sees the paramilitary group throwing aside their political concerns in favour of good old-fashioned revenge. Patriot Games does hew close to The Hunt for Red October‘s vibe for much of the running time. Ford spends a lot of time worrying, looking over charts and analysing video footage, with a climactic raid on an IRA training camp seen entirely from the situation room. Noyce can’t help himself, though, with a more traditional in-person scrap between Ford and Bean at the film’s end disappointingly trad. “Disappointingly trad” appears to be what audiences crave, if the rushed-into-production sequel to Patriot Games is any evidence. Ford reprises his role here as Ryan is promoted to CIA Acting Deputy Director, a position which you would certainly think precluded him from getting his hands dirty. And yet, he’s barely a couple of weeks on the job before he’s uncovered proof that the CIA have been teaming with Colombian drug cartels, with the President’s tacit approval. Ford, 56 at the time of shooting, was already stretching credulity as a credible action lead here. There is a certain relief in that a lion’s share of the heavy lifting for the film’s (admittedly well-choreographed and lucidly shot) set pieces is given over to Willem Defoe as former NAVY Seal John Clark, another popular Clancy creation, who leads a team into Colombia to tackle the issue head-on. Clear and Present Danger at least jettisons the hokey “they threatened my family!” motivation behind Patriot Games. In its place, however, it has the sort of conservative fear-mongering conspiracy theory which has proven to be somewhat dangerous in today’s political climate. Clark’s appearance as Ryan’s “dark side” at least returns some shading to a character who was in danger, post-Baldwin, of being nothing more than a living, breathing, right-wing American virtue signaller. 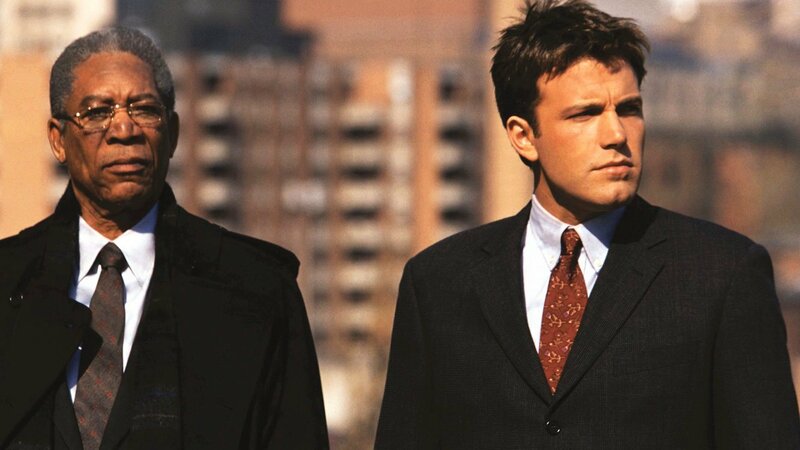 With the blessing of both Ford and his Pearl Harbour co-star Baldwin, Ben Affleck became the third actor to play Jack Ryan in the rebooted Sum of All Fears. Directed by Field of Dreams and Sneakers‘s Phil Alden Robinson (…interesting choice), the film bumps Ryan back to his early days in the CIA, where his crackpot theory about a bomb detonated in Baltimore being the work of a lone Neo-Nazi — not the warmongering Russian state — gets him out from behind his desk and into the field. The Cold War politics were already somewhat passe in 2002 (although, dismayingly, they might be more appropriate were the film released today), and indeed the hoo-rah jingoism and unironic celebration of North American intelligence agencies played a lot differently in a post-9/11 world than they did in Clancy’s heyday. Those are contextual issues, though. How about the film itself? Well, it’s not great. Where the first three instalments in the Jack Ryan franchise had steady hands guiding them both in front of and behind the camera, The Sum of All Fears feels a lot less confident in each respect. Morgan Freeman is a credible replacement for James Earl Jones in the role of Ryan’s CIA handler, but the fresh-faced Affleck doesn’t quite pull off the Ryan everyman charm; a little too snotty to be a cipher, a little too Hollywood handsome to be a spy. This time around it’s Chris Pine essaying the part of the titular “shadow recruit” drafted into field work when his studies at the London School of Economics catch the eye of a CIA official played by Kevin Costner. In both the director’s chair and coveted villain role is Kenneth Branagh, the former Bard-botherer fresh off the success of helming the first Thor film, with his performance as scenery-chewing Russian tycoon the undoubted highlight. What does all of this tell us about the new Jack Ryan, though? Well for one, Krasinski is an interesting choice of lead, compared to the more traditional pretty boys (and Harrison Ford) who have customarily filled the role. Maybe that’s closer to what Clancy envisioned, though. He always was meant to be an assuming-looking, desk-jockey-turned spy. The 2018 Jack Ryan enters a very different, but no less volatile, political map than Clancy wrote it, too. Executive producer Michael Bay previously teamed with Krasinski for the conservative-courting 13 Hours: The Secret Soldiers of Benghazi, which could be cause for concern, as could the fact that the series takes only the character from the books, opting for original storylines, which didn’t serve Shadow Recruit all that well. Krasinski is always an entertaining screen presence, though, and Carlton Cuse has proven himself time and again (not only on Lost, but also the underrated Bates Motel; let’s just agree to set aside his screenplays for San Andreas and Rampage…) and the involvement of Marine Corps veteran and Fringe writer Graham Roland alongside him suggests some verisimilitude and entertainment chops to boot. Jack Ryan is available to stream on Amazon Prime from August 31 2018.